Love in a Fallen City is a 1984 film based on the popular Eileen Chang’s novel of the same name. Ann Hui fresh from her Boat People’s award winning fame directed the classic love story with the backing from Shaw Brothers. Filmed at the iconic Repulse Bay hotel, in most of the Hong Kong scenes, we are able to witness a glamorous era just before the war. What we get is a slow burn of a film that allows both actors Chow Yun Fat and Cora Miao to communicate effectively. The themes of Chinese family, divorce, traditions and commitment are laid bare for all to think and see. Hui has always enjoyed the human elements and situations of her stories and this film is of no exception. It is probably ironic to label that their love most likely worked due to the tragic invasion of Japan. It is the subtlety that ends up winning most of the points in this realistic romance drama. The One actually opened at a cool US$20 million at the US Box Office and the premises of a multiverse where Jet Li gets to battle himself in decent budgeted science fiction action film. The film greatest achievement ended up launching the action busting career of Jason Statham who will end up starring in a further 4 films with Li. However, the film failed to live up to its promise and frizzle out quite quickly, just like the actually paper thin plot line used as a device for the next action scene. That’s not necessary a bad thing, but Li with his natural ability does not require computer effects to enhance his movements. Not to mention the numerous plot holes and cheesy dialogue that Li ended up needing to voice out. 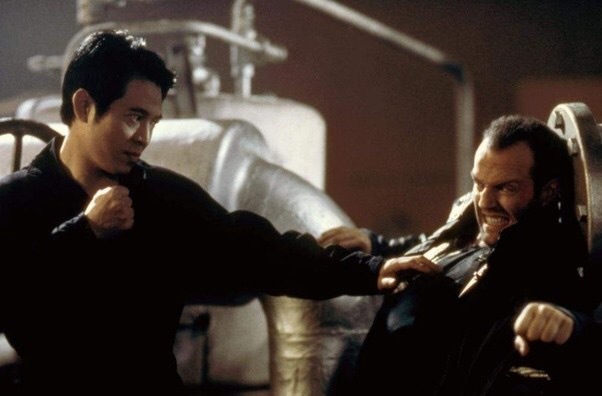 Similar to Van Damme failed experiment in Timecop, this is a wasted opportunity for Li to succeed in Hollywood. Scott Adkins has been in the DTV industry for a long time and never stops kicking the doors of A-list Hollywood. Adkins did manage to score himself a role in Expendables 2 and fought Wu Jing in the highly successful Chinese production in Wolf Warriors. However, other than those big screens appearances, Adkins has largely been lurking around the home video action genre gap, despite doing most of his spectacular stunts and realistic brutal fighting sequences. 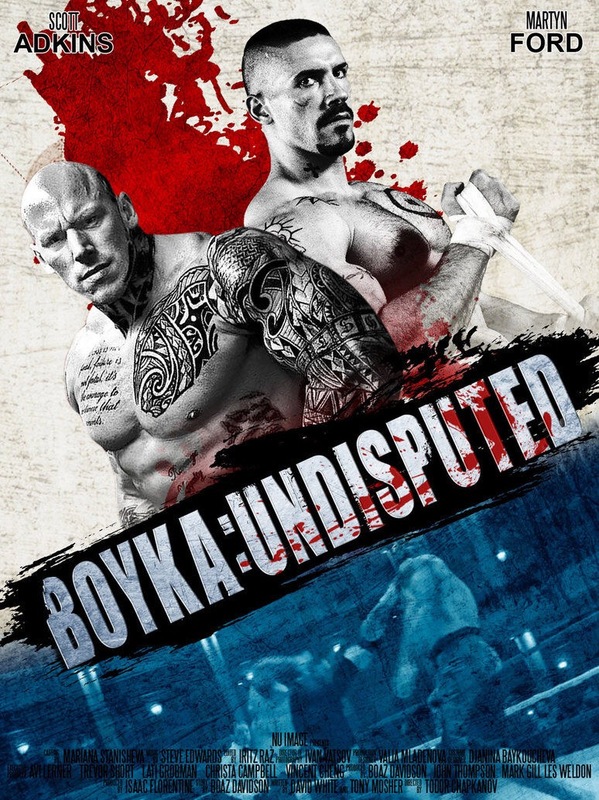 Good news is that Adkins is still only 40 and at his physical prime and the 4th film of the Undisputed series shows precisely what action fans have been waiting for and more. We get real punches with depth and strength in true MMA style. The story is serviceable about redemption whilst focusing on one action scene after another. All in all, the film works and end up firing on all fronts. Time for Hollywood action blockbuster to take note. This is the directorial debut of the acclaimed Stanley Kwan whose exploration of women begins here. 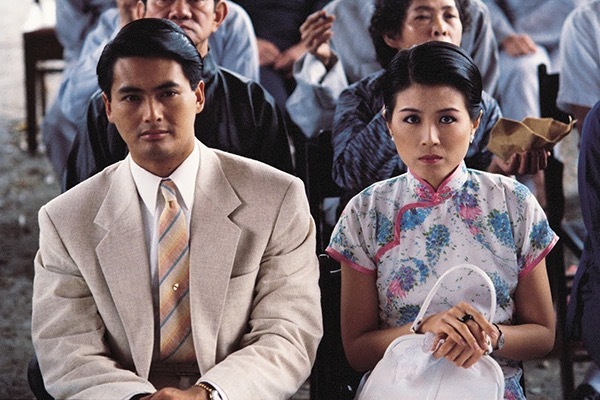 Pre superstar Chow Yun Fat shows his romantic acting chops and display great chemistry with the mistress (extended cameo by the gorgeous Cherie Chung) and Cora Miao (fresh from their fated crossed pairing in Ann Hui’s Love in a Fallen City). The film shows the personal inner conflicts and jealousy, how a woman deals with fidelity issues and divorce. Cora Miao portrays the role with ease and conflicted emotions and her relaxed chemistry with Chow is easy to see. Meanwhile, Chow shows why he will become a superstar in just less than a year till A Better Tomorrow. This is by no means a perfect effort from the developing Stanley Kwan, but some of the raw hallmarks are there to be seen. Shot in mostly good light and naturalistic style rarely seen in Shaw Brothers films (other than Ann Hui at the time), the film succeeds in staying grounded and many themes remain relevant today. 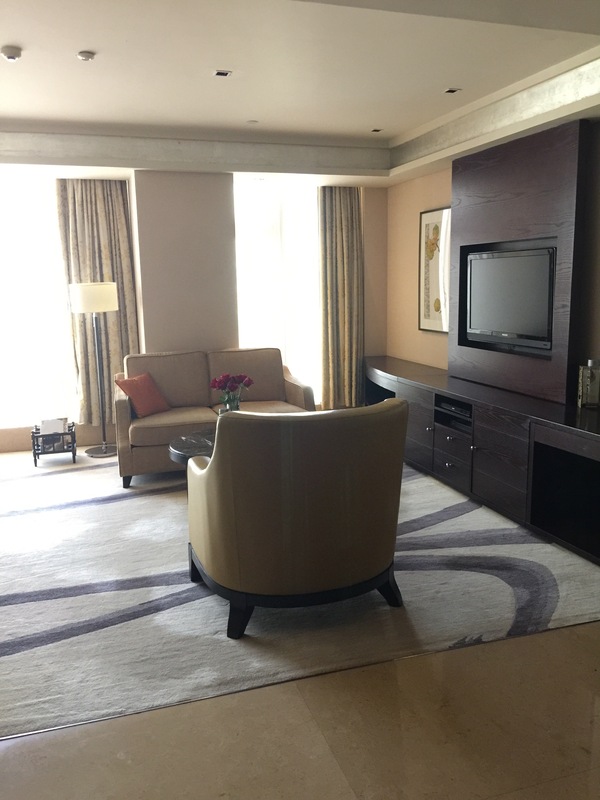 Our stay at the CCTV style pink modern building structure of Fairmont Beijing was a lovely and luxurious one. As we celebrating a special occasion, we made a request to the hotel prior to the stay to arrange for a memorable stay. On arrival, we were escorted by the hotel reception to the 20th floor Fairmont Gold Lounge. As we were upgraded to the junior suite of Fairmont Gold, we had a separate and private check in desk and managers. 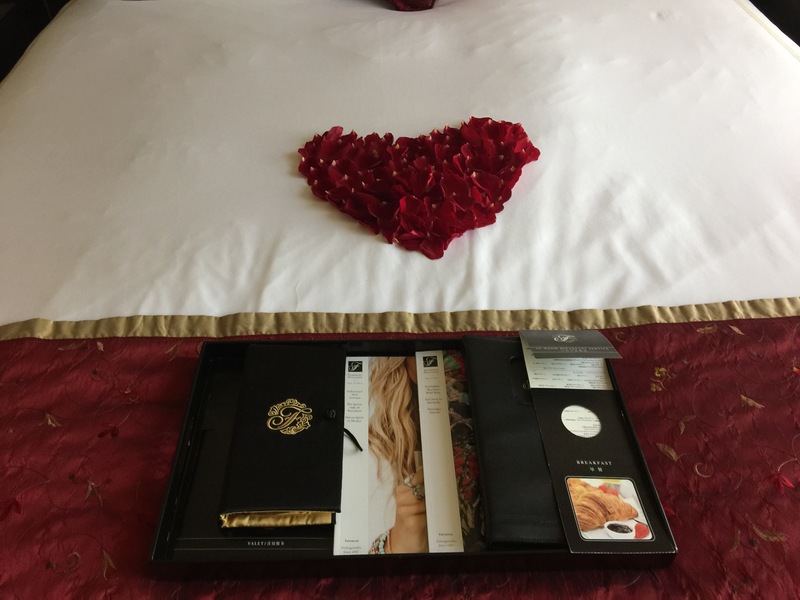 As we walked into our spacious and elegantly designed junior suite rooms, we were gratefully surprised for the lovely gesture of rose petals in a heart shape and red roses in a vase to celebrate our occasion. Tiny touches are paramount to a luxury hotel experience, especially for someone who have worked in the industry on a global management level. 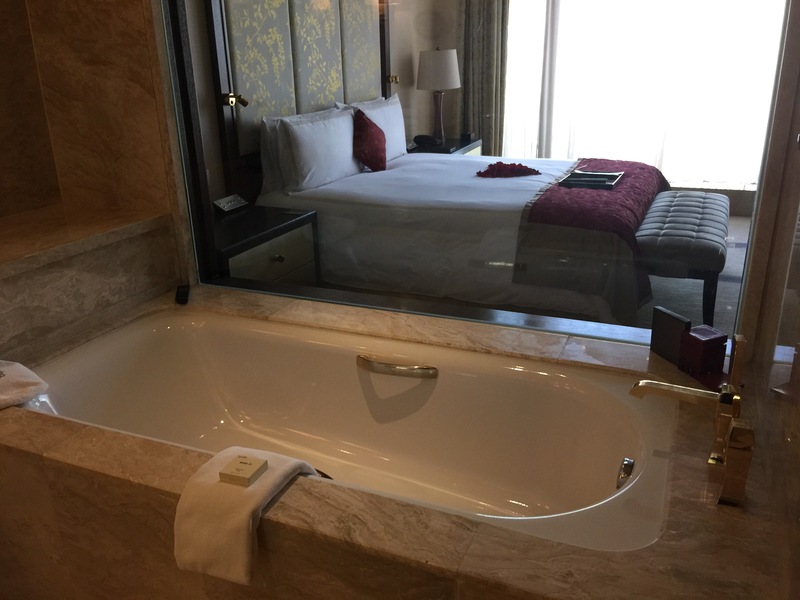 The bathroom is extremely large and well furniture with an oversized bath tub with gold plated handles. 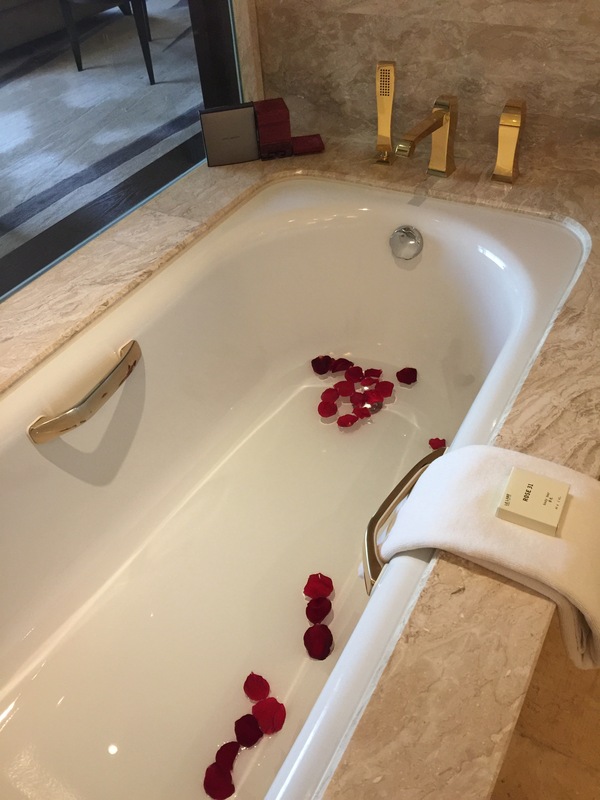 Rose petals and bath salts are beautiful combo for the luxurious bubble bath experience. Adding to this, the clear glass view from the bath tub to the bed is a modern idea. 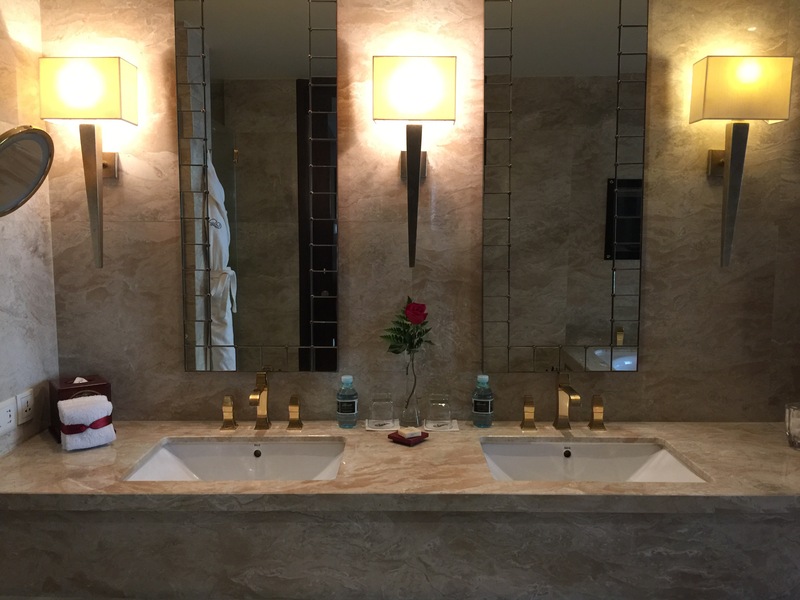 There is two separate wash basin and a huge mirror much to the delight of a romancing couple experience. The shower heads are comfortably big and plenty of space and the Japanese style toilets are nice touches. 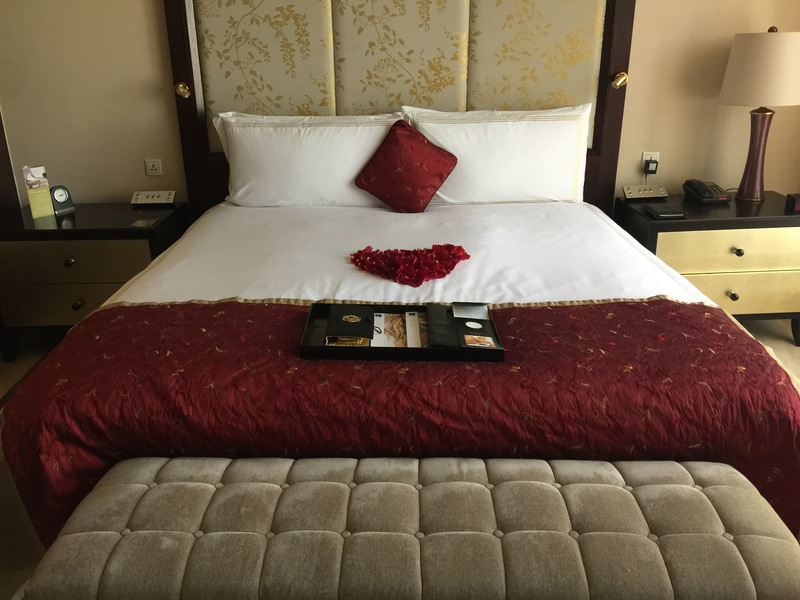 The king sized bed is comfortably sized and elegantly placed within the room with a beautiful view of Beijing skylines. The separate luggage and wardrobes compartment adds a layer to the luxury. There is a separate sofa and coffee machine to complete the relaxation process. 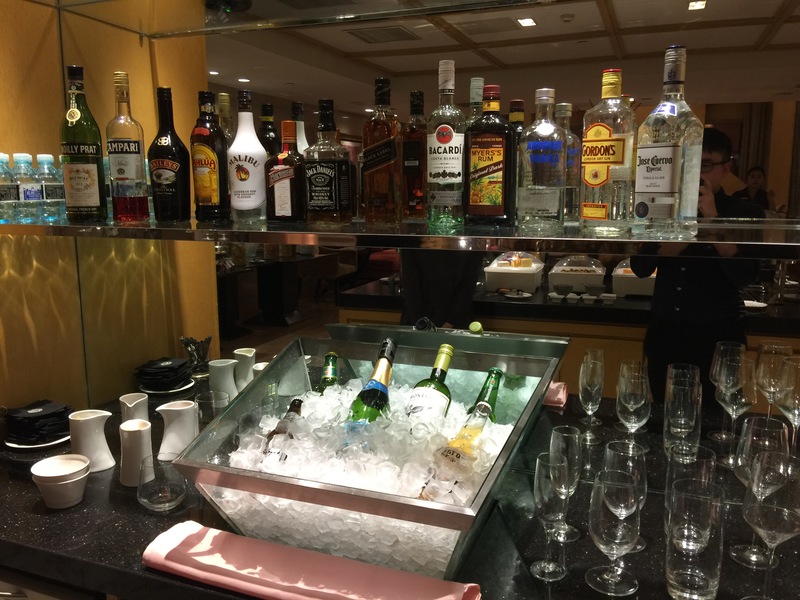 Now we get to the key point, the beautifully located and complementary access of the Fairmont Gold lounge and without doubt made our experience a hugely romantic, satisfying and relaxing. The lounge access provides daily continental and Chinese buffet breakfast of which is plentiful of choices and quality. Nespresso machine coffee, tea, freshly squeezed juice and Norwegian sparkling water is available throughout the day. There is also the choice of freshly made eggs, hash brown and wonton noodle soup in the breakfast menu. Afternoon tea is filled with small canapés and dessert, while evening cocktails, red and white wine and sparkling wine finishes off a wonderful lounge experience. The service must be complimented as it is seamless and first class as we are treated like VIP guests. 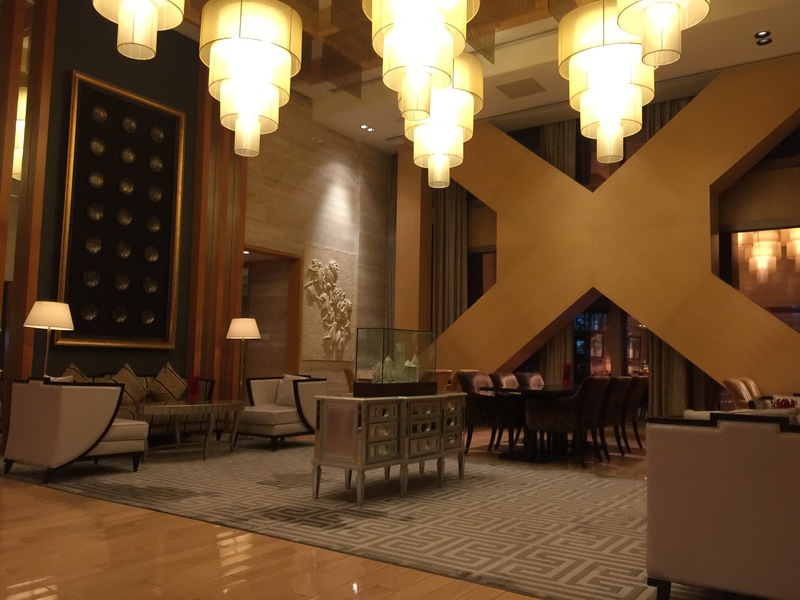 I can assure that the Gold Lounge experience definitely adds to the level of service and overall experience. Of note of mention is the special arrangement of flowers on Valentine’s Day to surprise my partner and this was done with absolute discreet and appreciation to the Fairmont Gold team for their efforts. We also took time out to try out the spa on Valentine’s Day and the private room was spacious with a huge spa. The body scrub and body massage that followed eased to our sleep and relaxation. 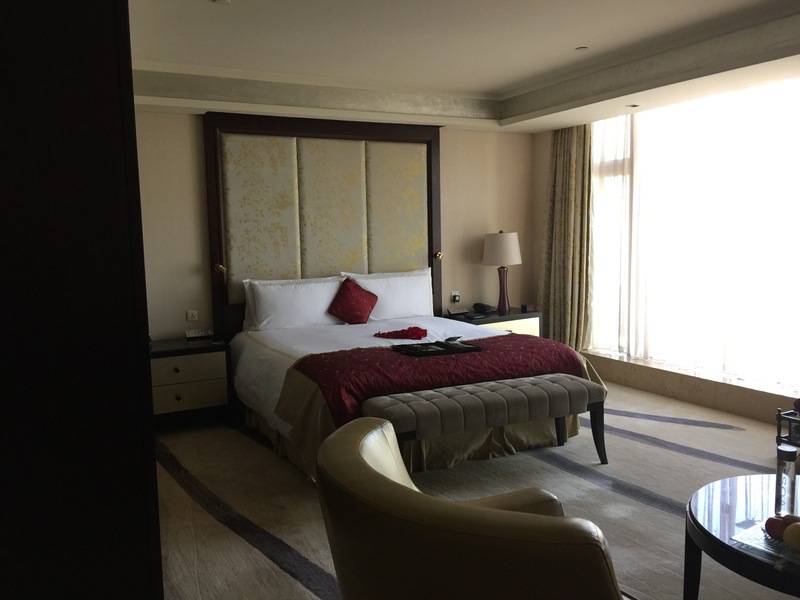 All in all, this Fairmont stay was quite memorable and adding to the sudden and rare nice blue sky weather of Beijing, the five days was almost perfect. From the beautiful in-room experience to the personalised services of the Gold Lounge personnel, thank you for the luxurious experience.